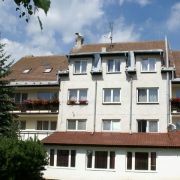 The newly built hotel near the village Hrabušice. The hotel offers two 4-bed suites, five 2-bed rooms (additional … More » beds possible) and eight 2-bed rooms. It has a modern restaurant and café. 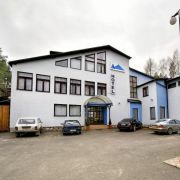 The guests have at their disposal a swimming pool, a sauna and a fitness centre. The guest house only 1km from the Slovak Paradise. It offers 6 rooms in 2 floors. 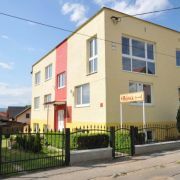 1st floor: 2 rooms 1x2 and 1x3 … More » with own sanitary facility. 2nd floor: floor 4 rooms 2x2, 2x3 with own sanitary facility. Kitchen for cooking and dinning on both floors, common room, bar.